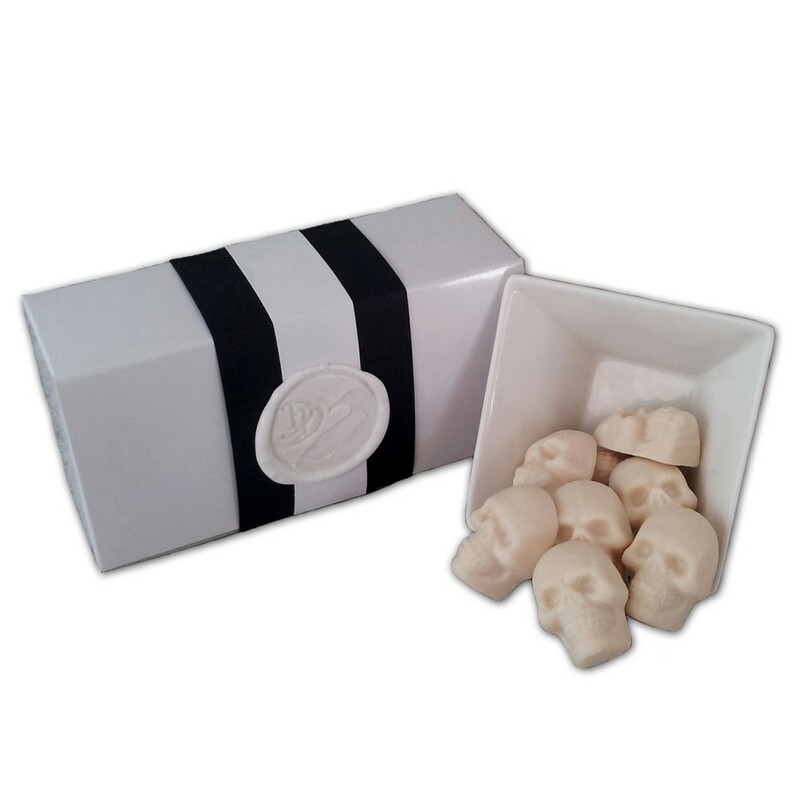 Craving something deliciously macabre? 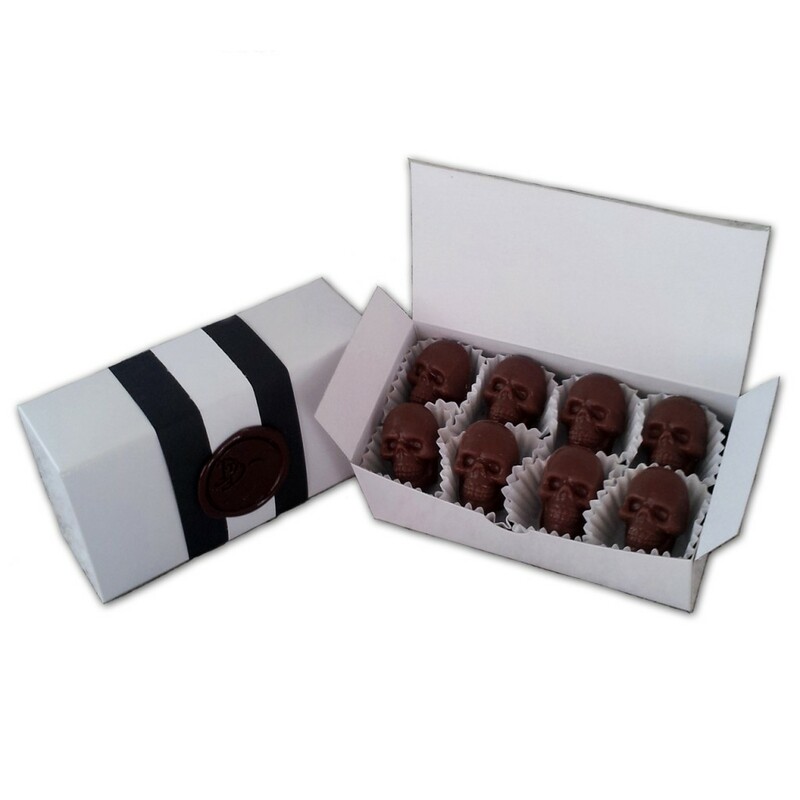 These luscious bite-sized Chocolate Skulls are the perfect gift for Halloween, Zombie lovers, Horror fans, Medical professionals and patients. They will be a great gift for a loved one or an incredible addition to an event that will get everyone talking. 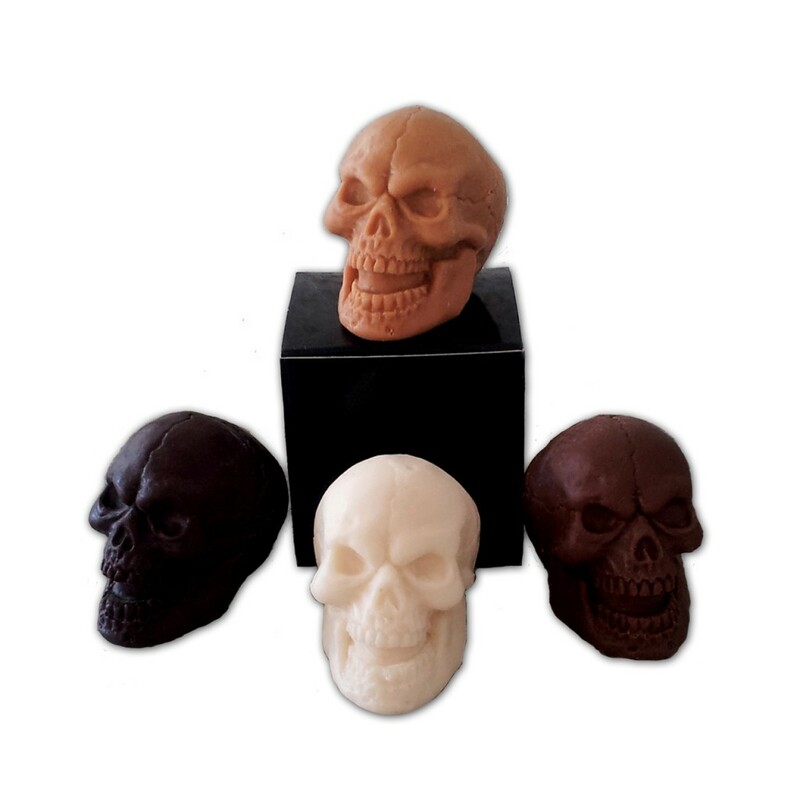 Skull Chocolate Covered Coffee Beans are a dark roasted 100% Arabica coffee bean coated with a hand poured rich and dark artisan chocolate. 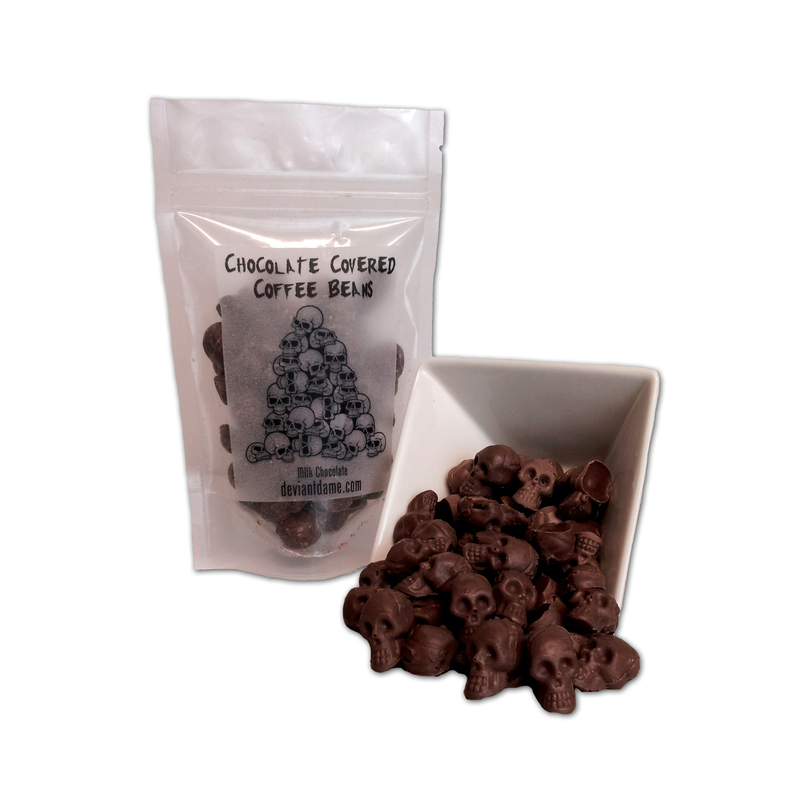 These Macabre shaped confections have a silky smooth and rich chocolate flavor melded with the crunch and taste of a perfectly roasted coffee bean.